Renee Elise Goldsberry, best known for portraying Angelica Schuyler in the original Broadway cast of "Hamilton," is one of the headliners of this summer's Deer Valley Music Festival, the Utah Symphony announced Tuesday, Feb. 19. A lineup of famous musicians — including singers Marie Osmond and Kristin Chenoweth, “Hamilton” star Renée Elise Goldsberry, trumpeter Chris Botti and the folk duo Indigo Girls — will join the Utah Symphony for music in the mountains at this year’s Deer Valley Music Festival. The series of concerts runs from June 28 to Aug. 10 at the Snow Park Outdoor Amphitheater at the Deer Valley ski resort in Park City. Also on the bill: Concerts of patriotic music, Broadway hits and Disney classics, tributes to Aretha Franklin and The Rolling Stones, a commemoration of the Apollo 11 moon landing, a screening of “E.T. The Extra-Terrestrial,” and the annual performance of the “1812 Overture” with live cannon fire. Subscriptions, group and VIP tickets are now on sale at the event’s website, deervalleymusicfestival.org. Single concert tickets go on sale to the public on Tuesday, April 9, at 10 a.m., at the same site. All Deer Valley shows start at 7:30 p.m.
June 28 • Jazz trumpeter Chris Botti with the Utah Symphony, conducted by Conner Gray Covington. 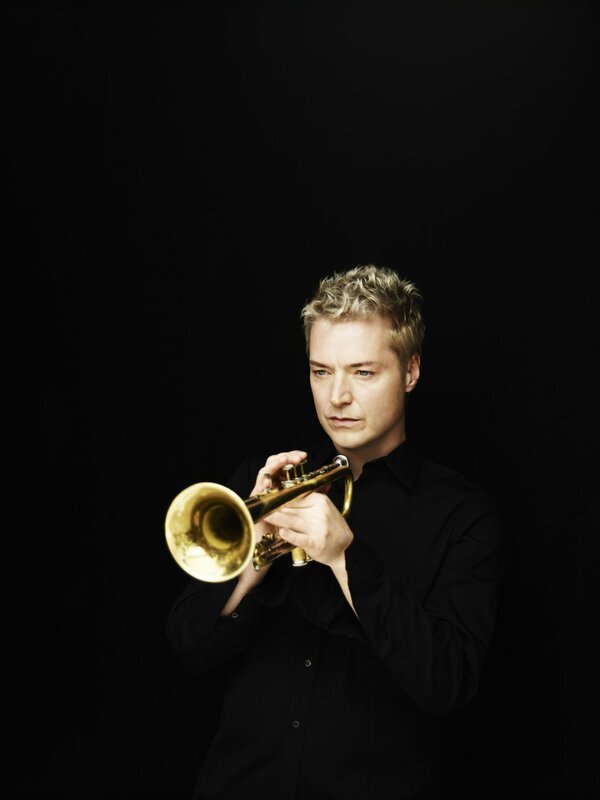 (Courtesy photo | Fabrizio Ferri ) Trumpeter Chris Botti is one of the headliners slated to perform with the Utah Symphony at the Deer Valley Music Festival. Botti will kick off the summer festival with a concert on June 28, 2019. June 29 • Singer and Provo native Marie Osmond with the Utah Symphony, conducted by Jerry Williams. July 5 • “Patriotic Celebration,” with Broadway singer Hugh Panaro and the Utah Symphony, conducted by Michael Krajewski. July 6 • “Bravo Broadway! Life Is a Cabaret,” with the music of Kander & Ebb and more, with vocalists Morgan James, Debbie Gravitte and Hugh Panaro, and the Utah Symphony, conducted by Randall Craig Fleischer. July 12 • “A Tribute to Aretha, Queen of Soul,” featuring vocalists Capathia Jenkins and Ryan Shaw, and the Utah Symphony, conducted by Lucas Waldin. July 13 • “E.T. the Extra-Terrestrial,” film with live musical accompaniment by the Utah Symphony, conducted by Conner Gray Covington. July 19 • “Disney in Concert — A Magical Celebration,” by the Utah Symphony, conducted by Conner Gray Covington. July 20 • Singer Renée Elise Goldsberry (the original Angelica Schuyler in Broadway’s “Hamilton”) with the Utah Symphony, conductor to be determined. July 26 • “America In Space: A Cinematic Celebration,” marking the 50th anniversary of the Apollo 11 moon landing, with footage from NASA documentary footage and movies about space, with live accompaniment by the Utah Symphony, conducted by Amy Andersson. July 27 • Artists to be announced. Aug. 2 • Tchaikovsky’s “1812 Overture” and Piano Concerto No. 1, with pianist Anna Fedorova, the Utah Symphony conducted by Conner Gray Covington, and live cannons provided by Cannoneers of the Wasatch. Aug. 3 • “An Intimate Evening with Kristin Chenoweth and the Utah Symphony,” featuring drummer Damien Bassman, conducted by Mary Campbell. Aug. 9 • “The Music of the Rolling Stones: Circa 1969,” with vocalist Tony Vincent and the Utah Symphony, conducted by Brent Havens. Aug. 10 • Folk duo Indigo Girls with the Utah Symphony, conducted by Conner Gray Covington. (AP Photo/Michael Dwyer) The Indigo Girls perform during rehearsal for the Boston Pops Fireworks Spectacular in Boston, Tuesday, July 3, 2018. July 17 • Schumann’s Cello Concerto, with cellist Rainer Eudeikis and the Utah Symphony, conducted by Christian Reif. Also on the program: Beethoven’s “Coriolan Overture”; Honegger’s “Pastorale d’été”; and Beethoven’s Symphony No. 2. July 31 • Mozart’s Piano Concerto No. 23, with pianist Aristo Sham (2018 Gina Bachauer International Artists Piano Competition Silver Medalist) and the Utah Symphony, conducted by Conner Gray Covington. Also on the program: Arvo Pärt’s “If Bach had been a Beekeeper”; and Brahms’ Serenade No. 2.